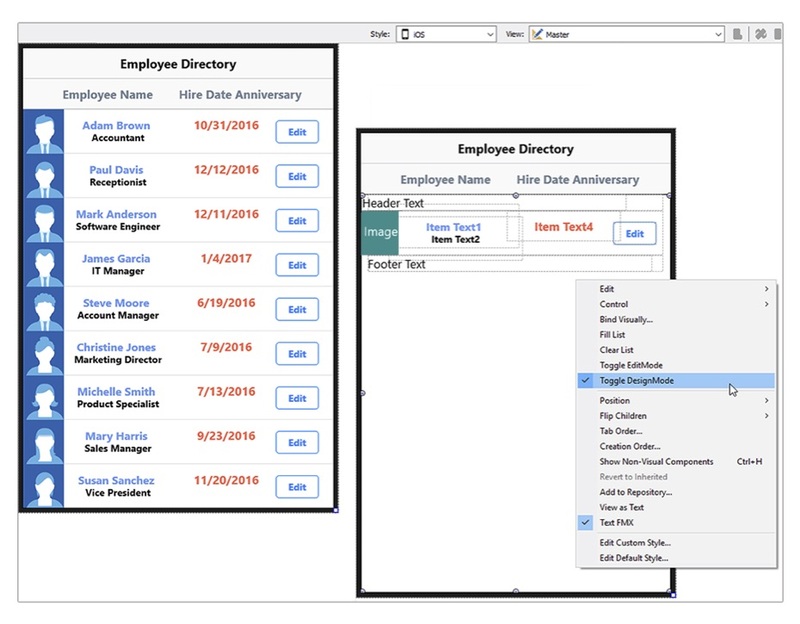 The TListView is a fast scrollable list that is typically used to display, select and navigate through data. With the release of RAD Studio 10 Berlin, it is now possible to modify the look of TListView Items, TListView Header and TListView footer using the Toggle DesignMode. When you right-click your list view on the Form Designer and select the new Toggle DesignMode, you enable the visual list view item editor. Rather than having to manually adjust the position of each component that makes up the item layout, you can now visually modify the control. The listview control also supports a new type of item appearance (also available for the edit mode), DynamicAppearance, that you can use to customise the elements that make up your list view: labels, images, buttons, and so on. 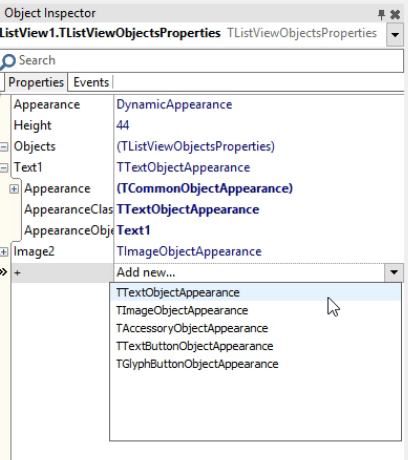 On your TListView item change the ItemAppearance property to DynamicAppearance, and then use the + to add in new objects. Once added they appear under the Objects and can be renamed and modified manually as before or you can use the design mode to modify them. How i can to assign by code this property ( text2/3.. ) ?